Standard models of kayaks even with sufficiently large equipment may have some disadvantages or in some ways not satisfy their owners. They can be equipped with uncomfortable seats, the insufficient number of stops or locks; do not have any necessary attachments and so on. In such cases, the tuning of models is usually carried out; there are a lot of variants. How can I improve a kayak? In principle, the owner chooses to improve the kayak. Many craftsmen make their own elements and install them on a boat. Of course, this applies to those who understand such matters. Some inventors, for example, lay an inflatable bottom inside kayaks to raise the center of its gravity. Or create an apron-skirt system from bicycle cameras and glue it to the sides of the boat for special glue. Tuning can consist in improving the stops or their additional installation, in adapting the steering on models where it was not originally provided, installing transoms for the engine and so on. Kayaks are improved by additional reinforcement of the bottom in the frame area, which is made of PVC or tread, while the frames themselves are worn with bumpers. In the cockpits of the boats glued rubber bands, to which are attached small items, rugs, spinning. Open the deck of kayaks turn into a removable; in the crumpled backs of inflatable seats sew tight structures. Supports for inflatable boats are made from duralumin pipes, slings are passed through them, which are then fixed to the bottom of the boat. Tuning of collapsible kayaks consists in the modification of the bushings dividing stringers into two halves. To them fixers are made of stainless steel to prevent the extension of the spontaneous extension of parts. When such a boat is pulled ashore, it happens that the stringers themselves are separated from the frames. To prevent this from happening, between the frame and the stringer put aluminum plates that wrap around the hook. Tuning of kayaks can consist in the installation of fins, a removable keel, stabilizers, and sailing arms. Models can be tuned with additional strapping, installation of rotary panels fixates for rods, glasses, and mounts for echo sounder, folding tables and other elements. They are available for sale in ready-made form and are suitable for almost any boat model. On sale you can find such elements for tuning, as improved covers for hatches, pedal drives with a steering device, stops for feet, knees and hips, plugs-valves for drainage holes. The assortment includes heat-resistant containers, supporting plates for fishing in standing position, containers for small items, various types of electric motors and steering systems. Those interested can find pull-out skegs, transoms for the engine, safety cords for oars, compasses, echo sounders, systems for carrying boats on land. Kayaks are tuned by folding children’s seats, tags with locks, inspection hatches. Boats can be improved by the installation of mounting platforms, towed cylinders, rails and halyard holders, swivel knots and other elements. Their appearance and quantity depend on the tuning goals. Those who are going to tune a kayak, you need to decide what is needed. It happens that improvements are really necessary because of defects in the manufacturer, the lack of any adaptations, to improve the running and performance of the boat. They often concern skeleton kayaks that quickly begin to break, models with little outfitting, boats with low exchange rate stability. People who are well versed in their device tend to show ingenuity and improve products, realizing their own ideas or adopting someone else’s. 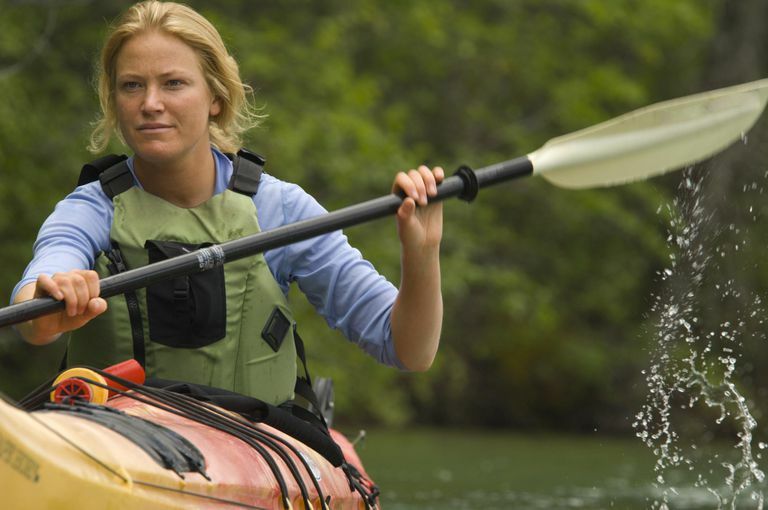 If a person is poorly versed in the characteristics of kayaks, they should be tuned carefully. Additional elements can increase the weight of the boat, and its running characteristics will deteriorate. In addition, they will change the location of the center of gravity, and the kayak will become unsuitable for swimming along waves and rivers with rapids. Tuning should be done, considering all these factors. Only then it will be effective and make the use of the boat as convenient and easy as possible. Therefore, before making any changes to the design of the kayak, all must be carefully calculated.